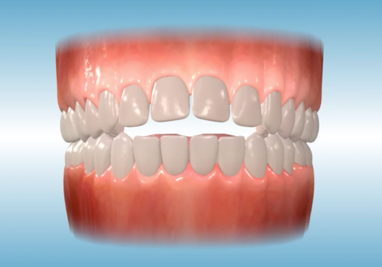 Class II problems represent an abnormal bite relationship in which the upper jaw and teeth are located in front of the lower jaw and teeth. 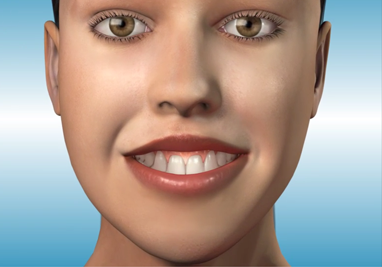 Class II patients usually exhibit a convex facial profile with a recessed chin. 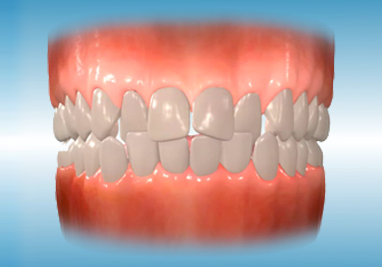 A skeletal Class II problem occurs when the upper back molars are forward of the lower back molars. 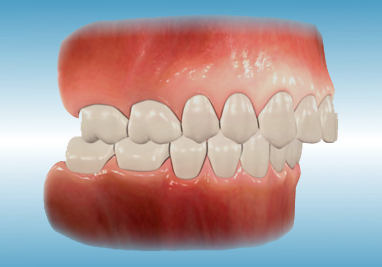 This gives the patient the appearance of having a recessed lower jaw, a protruding upper jaw or both. In both cases, this relationship is due to the inherited characteristics. Excessive vertical overlapping of incisor teeth, called "overbite", is generally found in association with excessive eruption of either the upper or lower incisors or sometimes both. An openbite can occur with both the front or back teeth. 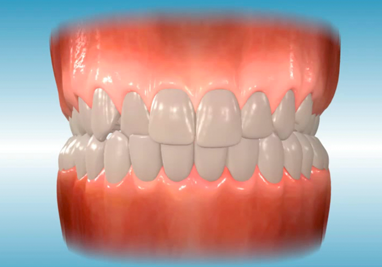 An open on bite on the front teeth is called an anterior openbite, while an openbite on the back teeth is called a posterior openbite. 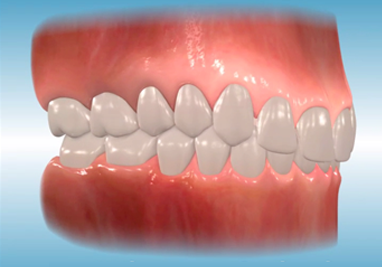 An anterior openbite is the lack of vertical overlap of the front teeth and can usually be traced to jaw disharmony or habits such as thumb sucking or the posture of the tongue pushing against the front teeth. A posterior openbite is a problem in which the back teeth do not meet vertically, which keeps the jaw from functioning properly. 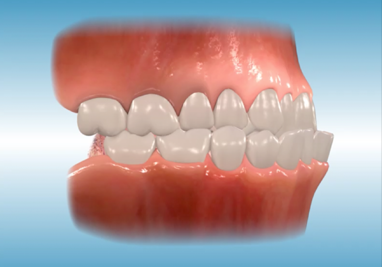 Also known as a gummy smile, this orthodontic problem gives the appearance of excessive exposed gums on the upper arch. There are several treatment options for this problem. In severe cases, corrective jaw surgery may be necessary to actually shift the jaw vertically upward, thus reducing the amount of exposure of the upper gum tissue. A posterior crossbite will usually result from a narrow upper jaw or abnormally wide lower jaw. When a patient with a narrow upper jaw is closing their mouth, they will likely be forced to move the lower jaw forward or to the side in order to achieve a stable bite. 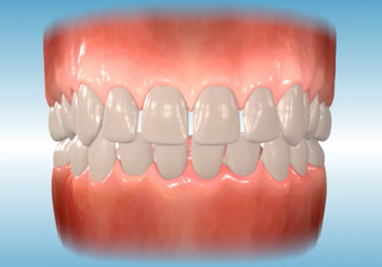 When closed into this accommodating position, the lower teeth are located outside the upper teeth.